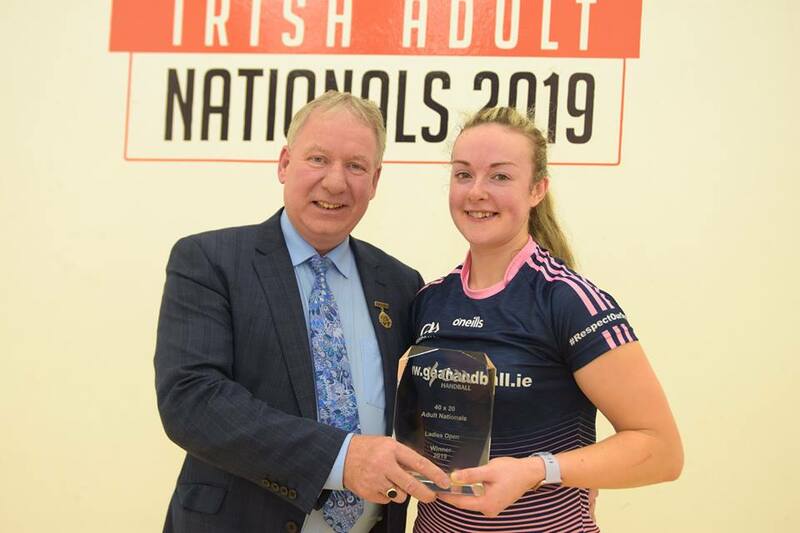 Claregalway, HC, IRE, WPH Press, 2/20/18- GAA Handball hosted the 2019 Irish Nationals on the third weekend of February, with Robbie McCarthy clinching his third GAA Irish Nationals title in dramatic fashion against Diarmaid Nash and Martina McMahon overwhelming WR48 #1 Catriona Casey to win her first Irish National title. McCarthy advanced to the final after overcoming a slow start in the semifinals against Irish #2 Martin Mulkerrins, dropping game one 15-1 before rallying to win the next two games. 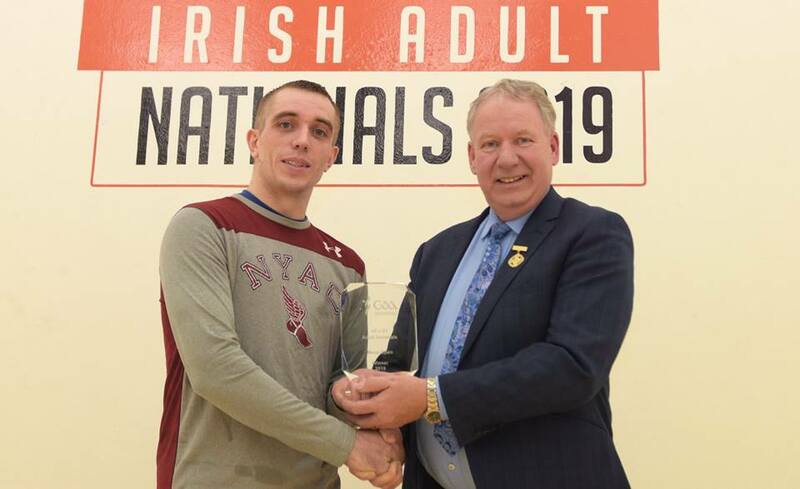 McCarthy met Irish #1 Diarmaid Nash in the final, following Nash’s spectacular 11-10 semifinal tiebreaker win against All Ireland doubles teammate and current Irish Collegiate national champion Colin Crehan. The final featured another thrilling tiebreaker, as McCarthy dropped game one 13-15, dominated game two and edged the left-handed Irish #1 11-9 in the third. 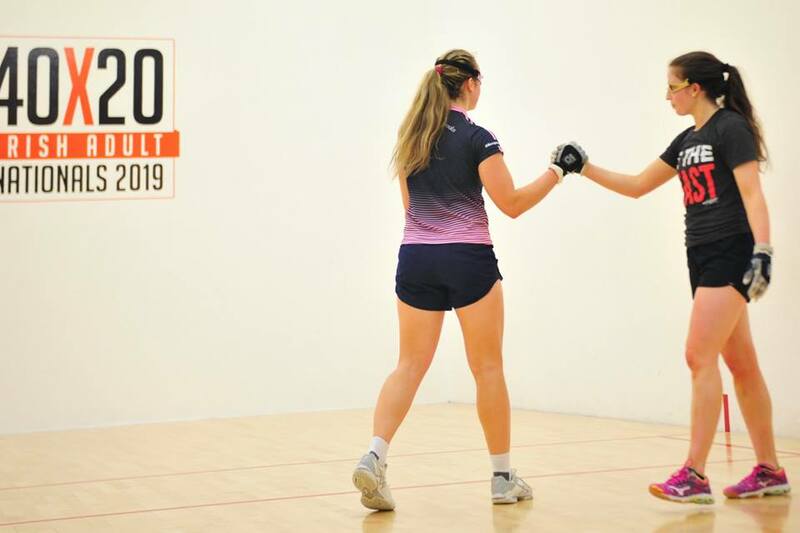 McMahon trailed 1-10 and 6-13 in game one of the women’s final to Irish and WR48 #1 Catriona Casey before surging, scoring the final nine points of the first game in dominant fashion and maintaining her high level of play in game two to seize her first Irish Nationals. 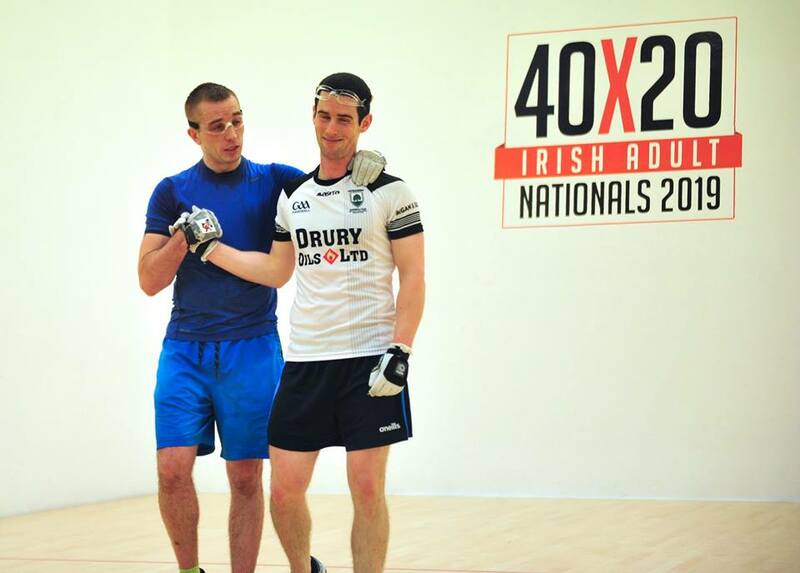 McMahon now holds the All Ireland 40×20 and 60×30 titles, 4-Wall World title, WallBall World title, and Irish National title.